“All white people are racist. Start from this reference point, or you’ve already failed,” Delgado wrote. The post was removed, and her Facebook account was disabled for seven days. A trove of internal documents reviewed by ProPublica sheds new light on the secret guidelines that Facebook’s censors use to distinguish between hate speech and legitimate political expression. The documents reveal the rationale behind seemingly inconsistent decisions. For instance, Higgins’ incitement to violence passed muster because it targeted a specific sub-group of Muslims—those that are “radicalized”—while Delgado’s post was deleted for attacking whites in general. Over the past decade, the company has developed hundreds of rules, drawing elaborate distinctions between what should and shouldn’t be allowed in an effort to make the site a safe place for its nearly 2 billion users. The issue of how Facebook monitors this content has become increasingly prominent in recent months, with the rise of “fake news”—fabricated stories that circulated on Facebook like “Pope Francis Shocks the World, Endorses Donald Trump For President, Releases Statement“—and growing concern that terrorists are using social media for recruitment. One Facebook rule, which is cited in the documents but that the company said is no longer in effect, banned posts that praise the use of “violence to resist occupation of an internationally recognized state.” The company’s workforce of human censors, known as content reviewers, has deleted posts by activists and journalists in disputed territories such as Palestine, Kashmir, Crimea, and Western Sahara. One document trains content reviewers on how to apply the company’s global hate speech algorithm. The slide identifies three groups: female drivers, black children, and white men. It asks: which group is protected from hate speech? The correct answer: white men. Facebook’s rules constitute a legal world of their own. They stand in sharp contrast to the United States’ First Amendment protections of free speech, which courts have interpreted to allow exactly the sort of speech and writing censored by the company’s hate speech algorithm. But they also differ—for example, in permitting postings that deny the Holocaust—from more restrictive European standards. Users whose posts are removed are not usually told what rule they have broken, and they cannot generally appeal Facebook’s decision. Appeals are currently only available to people whose profile, group, or page is removed. More than half of the 250,000 hate crimes that took place each year between 2004 and 2015 went unreported to law enforcement for a variety of reasons, according to a special report on hate crimes from the Bureau of Justice Statistics. Hate crimes were most often not reported because they were handled some other way, the report said. But people also did not come forward because they didn’t feel it was important or that police would help. The report, based on a survey of households, is one of several studies that aim to quantify hate crimes. Its release comes as the Justice Department convenes a meeting on Thursday with local law enforcement officials and experts to discuss hate crimes, including a lack of solid data on the problem nationwide. Attorney General Jeff Sessions is scheduled to speak. Levin said many large cities are claiming they had no hate crimes — calling into question the reliability of federal hate crimes data that are based on voluntary submissions from police departments. “We have Columbus, Ohio, reporting more hate crimes than the state of Florida,” he said. Pretty scandalous on many accounts. Revocation on grounds of fraud or misrepresentation? Peter Thiel, the billionaire co-founder of Paypal, was granted New Zealandcitizenship despite spending only 12 days in the country, new documents have revealed. The government ombudsmen has forced New Zealand authorities to release further details of Thiel’s highly unusual citizenship process because it was deemed in the public interest. The billionaire entrepreneur who is a close adviser to Donald Trump, was granted New Zealand citizenship in June 2011, after taking four brief trips to the country. He made it clear he had no immediate plans to settle in the country. The usual route to citizenship requires applicants to be in New Zealand as a permanent resident for at least 1,350 days in the five years preceding an application. The New Zealand government granted Thiel citizenship due to his “exceptional circumstances”, and because it was understood he would promote New Zealand on the global stage, and provide introductions and contacts for New Zealand start-ups in Silicon Valley. Official information documents stated Thiel’s “exceptional circumstances” related to “his skills as an entrepreneur and his philanthropy”, which were deemed to be of potential benefit to New Zealanders and the country. The formal citizenship process took place in a private ceremony in Santa Monica in 2011. In his application for citizenship Thiel stated that although he had no plans to reside in New Zealand, and did not work for a New Zealand business overseas, he intended to “represent the country on the international stage”. He also donated NZ$1m to the Christchurch earthquake relief fund, and bought prime land and luxury homes in New Zealand. Despite this intention Thiel never appeared to mention his New Zealand citizenship in any public capacity – it was revealed by New Zealand media this year. Labour’s immigration spokesman Iain Lees-Galloway told Radio NZ that Thiel was not promoting New Zealand internationally as he’d stated in his application, as no one knew about his citizenship or ties to New Zealand for six years. 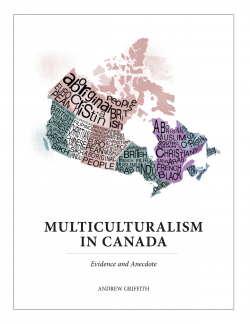 In 1963, newly elected Liberal prime minister Lester Pearson had launched the Royal Commission on Bilingualism and Biculturalism as a response to growing tensions between English-speaking Canada and Quebec, where nationalism was on the rise. Paul Yuzyk had been named a Progressive Conservative senator for Manitoba that year. In his maiden speech in the red chamber early in 1964, he balked at this notion of cultural dualism. Indigenous people were on the land long before the French and the British arrived, he said, and it was immigrants from elsewhere in Europe, including Ukrainians, who answered the call to settle the western provinces. Those who did not descend from either of the so-called founding nations — the people Yuzyk referred to as the “third element” in Canadian society — saw their share of the population more than double since the turn of the century, he told his colleagues. Multiculturalism — or “unity in continuing diversity,” as he also called it — should be celebrated as part of what makes Canadians who they are, he argued, but also Canada what it is. “This principle, in keeping with the democratic way, encourages citizens of all ethnic origins to make their best contributions to the development of a general Canadian culture as essential ingredients in the nation-building process,” he said. In response to intense lobbying by Yuzyk, Ukrainian community and other groups, the commission dedicated the fourth volume of its report to the contributions of ethnic groups and recommended ways to foster and protect their cultural and linguistic development. On October 8, 1971, Liberal prime minister Pierre Trudeau responded by unveiling his government’s new multiculturalism policy. “Although there are two official languages, there is no official culture, nor does any ethnic group take precedence over any other,” Trudeau said in the House of Commons. “It was just such a vindication and an acceptance of the reality in Canada,” said Vera Yuzyk. The focus on multiculturalism was happening as Canada was also opening its borders to a greater diversity of immigrants. In 1967, it became the first country in the world to introduce a points-based system that linked permanent residency to the ability to contribute to Canada. The doors would open wider still a few years later, allowing for more immigration based on family reunification and refugees, boosting the number of newcomers from non-European countries. Canadian immigration: Why are Europeans renouncing immigrant status? I find this concern overblown. If people are renouncing their Permanent Resident status, it suggests that they are likely not here on a permanent basis. Hard to imagine that European-origin permanent residents would renounce their PR status if only travelling back and forth for annual visits or occasional business travel. Foreign nationals from visa-exempt countries who are permanent residents of Canada (who used to be called landed immigrants) are being confronted with the new step before they can get approval to board flights to this country, but also at port-of-entry airports such as Vancouver International. The trouble arises for these travellers when they arrive at an airport without their plastic permanent resident card — or don’t realize their permanent residence status has expired for certain reasons, including not spending enough time in Canada. They are thrust into a state of limbo. When such travellers try to get an eTA — and airport officials then discover they are permanent residents of Canada, but their documentation is inadequate — they are not granted an eTA to board a plane to Canada or, if they somehow make it to Canada, they are not allowed through immigration checkpoints. As a result, says Toronto immigration lawyer David Lesperance, customs and airline officials are advising such people the quickest way to be allowed to fly into Canada is to renounce their opportunity to immigrate. Vancouver immigration lawyer Richard Kurland confirms European and anglophone clients who have had permanent resident status have been running into many difficulties at international airports because of the eTA. The overall number of people from all countries who have renounced their Canadian immigrant status has gone up sharply since 2014, when Ottawa began making the process of renouncing easier. The total volume of renunciations has jumped from just a handful a year to more than 30,000 in the past two-and-a-half years. Of course, would-be immigrants from Europe, Asia or Africa renounce their attempt to gain citizenship for a variety of reasons. Some dislike Canada’s cold weather, some earn more money in their homeland and some are trying to avoid paying Canadian income taxes. But the immigration lawyers say the biggest reason Germans, Australians, French, Danes, Dutch and Britons have recently renounced is the change Immigration Canada introduced last year and formalized on Nov. 10 — requiring all travellers from visa-exempt countries to apply online for an eTA. Most of the Europeans and anglophones renouncing their chance to become Canadian citizens are “relieved” to end their travel aggravations by forgoing their permanent resident status in Canada, Kurland said. Many are deciding instead to travel to Canada as tourists, or by applying for increasingly popular 10-year visas. “Wherever you have this hot economy and favourable immigration climate, you’re gonna see this type of action,” he said. He said this is precisely the sort of thing they’ve been seeing for years in Alberta. “We respond and say that’s not what we do. But obviously they make that inquiry because there are others who do,” he said. “Canadian residency is a sought-after commodity and an asset,” he said. He said it’s implausible that someone from China with weak language skills would be able to land a job in Canada without assistance. “It is inevitably fostering fraud,” Sharma said. A decision by Israel’s government to scrap plans for a mixed-gender prayer area at Jerusalem’s Western Wall has left a senior leader of Canada’s Jewish community “disappointed” but determined to fight the move. Men and women are segregated as they approach the Western Wall, the holiest site where Jews can pray. The men’s section of the Western Wall is also considerably larger than the women’s section. The government of Israeli Prime Minister Benjamin Netanyahu had agreed to a compromise deal last year that would recognize a prayer space where women and men could pray together. But under pressure from ultra-Orthodox parties in his coalition government, Netanyahu and his cabinet shelved that agreement on Sunday, leading to a firestorm of criticism from some Jewish leaders who say the relationship between the Jewish State and Jews who live outside of the Israel is now at risk. Kislowicz, who lives in Toronto, is in Israel this week for a series of meetings with Israeli officials. She said those discussions quickly became focused on Sunday’s decision to cancel the plans for the mixed-prayer space. She spent several hours meeting Israeli politicians on Tuesday at the Knesset, Israel’s parliament. ‘We will not stop lobbying and influencing and pressuring,” until the deal to recognize the egalitarian prayer space is reinstated, she said. Still, the relationship between Canada’s Jewish community and Israel has taken a hit, she concedes. “The damage is deep. But I hope temporary. I think that we shouldn’t underestimate the fragmentation, the fracture, the disappointment, the anger even,” Kislowicz said. There about 400,000 Jews in Canada. It’s believed that the number of Reform or Conservative Jewish Canadians — who hold more liberal beliefs than the ultra-Orthodox — is proportionally lower in Canada compared to the United States, where Reform and Conservative rabbis have reacted with anger to Netanyahu’s decision. Israeli newspaper Haaretz reported that Israel’s Foreign Ministry was preparing its diplomats in the United States to deal with the “crisis” over the Western Wall decision. There was no mention of the talking points being distributed to Israel’s embassy in Ottawa. On the forefront of the battle for prayer equality in Israel is a group known as Women of the Wall, who have spent years seeking equal rights to worship. The group’s early-morning prayer gatherings often turned into protests that sometimes became violent, with clashes between supporters and the police. It’s no longer surprising when Prime Minister Justin Trudeau’s socks make headlines. There were Star Wars socks for May the Fourth, a NATO-themed pair for a leaders summit and maple leaves for Live with Kelly and Ryan. But no one was more surprised than Shehryar and Sara Qureshy to learn Trudeau would sport a rainbow-striped pair reading “Eid Mubarak” at Pride in Toronto on the weekend to mark the end of Ramadan. Shehryar and Sara are the husband-and-wife team behind Halal Socks, the Toronto-based company that produced the now famous pair. “We were totally flabbergasted,” Shehryar says. “I think Sara was screaming.” The company, which sells Islam-themed socks, only launched this month, and the ensuing attention crashed its website. Shehryar and Sara explain how it happened. Q: How did you start the company? Sara: Last Eid, I was trying to find something for my husband, and I was having a really difficult time finding something that was festive. I was complaining to him, “I’m having a hard time, let me know what you want.” He’s like, “You know I love socks. Why don’t you find me some socks that go with this occasion?” I searched but I couldn’t find anything, and I told Shehryar that. He’s like, “Okay, we got something here.” So that’s how it started. Q: Are the socks really halal? Shehryar: We actually went to different mosques, both conservative and liberal mosques, around the Greater Toronto Area, and talked to prominent leaders in our community to make sure the designs are compliant with their beliefs. There were some designs that had to be altered. We’ve got one with a mosque design, for example, and one imam who told us there’s a big community that will take this negatively, and see this as putting mosques underneath your feet. We said, no problem, let’s remove it. So we were confident that when we launch, we’ve got acceptance from these major Muslim hubs in the GTA. Q: Tell me about the “Beard Bro” design. Shehryar: Some of our brothers in the mosque are quite stylish. They’re rocking a clean haircut, their pant legs are high, they’re wearing tight clothes, and they’ve got nice, big beards. Sometimes we’ll joke, “How’s your beard game?” And we’re like, “My beard game is strong.” Now you’re showcasing your socks along with it. Think of this as for the Muslim hipster. A: So how did the Prime Minister end up wearing your socks? Sara: I got a hold of Omar Alghabra, the MP of Mississauga Centre, and we asked him if he could somehow gift these socks to our prime minister. We knew Eid was coming up and we knew he’s a sock enthusiast. We just hoped he would be willing to wear them. So Omar Alghabra got them to the prime minister. I think he really liked them because he wore them twice. Q: Oh, he wore them before? Sara: Yeah, the first time was last week at an event at the Muslim Welfare Centre in Scarborough. I got a video from Omar Alghabra, and I was ecstatic. The prime minister was giving a speech and mentioned the Eid Mubarak socks. He lifted up his pants a little bit. Q: Have you seen sales pick up? Sara: All of this amazing attention hasn’t really translated into many sales yet. But our international orders have gone up a little bit, so that proves Trudeau’s global appeal is there. Shehryar: The Muslim population is growing around the world, and they’re getting more affluent and willing to spend money on things that appeal to them. Our overall vision is we start with men’s socks, and if this attention translates into orders, we could go into the wider Muslim apparel market, inshallah. “Today, Canadians from coast to coast to coast join together to celebrate the multiculturalism and openness that make us who we are as a country. “Canadians come from every corner of the world, speak two official languages and hundreds more, practice many faiths, and represent many cultures. Multiculturalism is at the heart of Canada’s heritage and identity – and as Canadians, we recognize that our differences make us strong. “Canada’s strong tradition of multiculturalism has allowed our society to benefit from fresh perspectives and find new answers to old problems. It has also helped Canada attract some of the most innovative and entrepreneurial people from around the world, showing that openness is the engine of both creativity and prosperity. “This year, we mark both the 150th anniversary of Confederation and the 35th anniversary of the Canadian Charter of Rights and Freedoms. These milestones remind us of the values that unite us – openness, inclusion, and deep respect for our differences. Whoever we are, wherever we come from, these values bring us together as equal members of this great country. Last year’s budget set aside $35 million over five years and $10 million each year after to combat radicalization and violence in Canada.